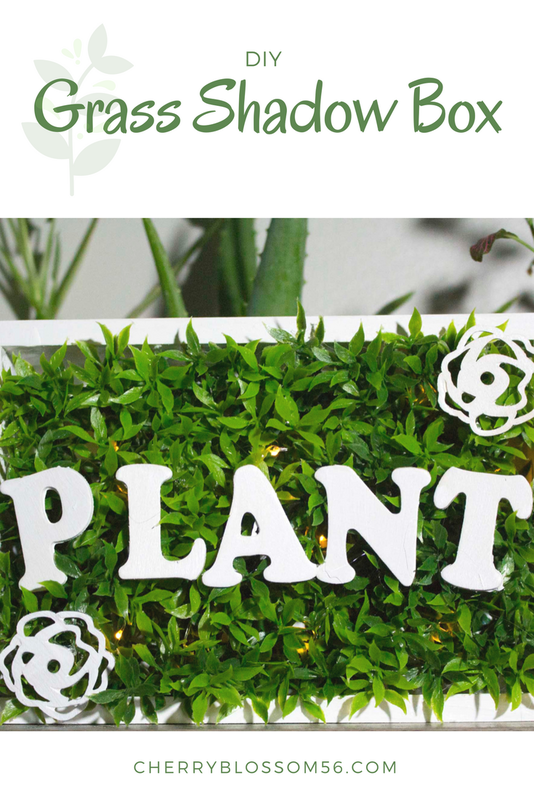 If you've been on my blog for any period of time, then you know I'm a plant nerd. 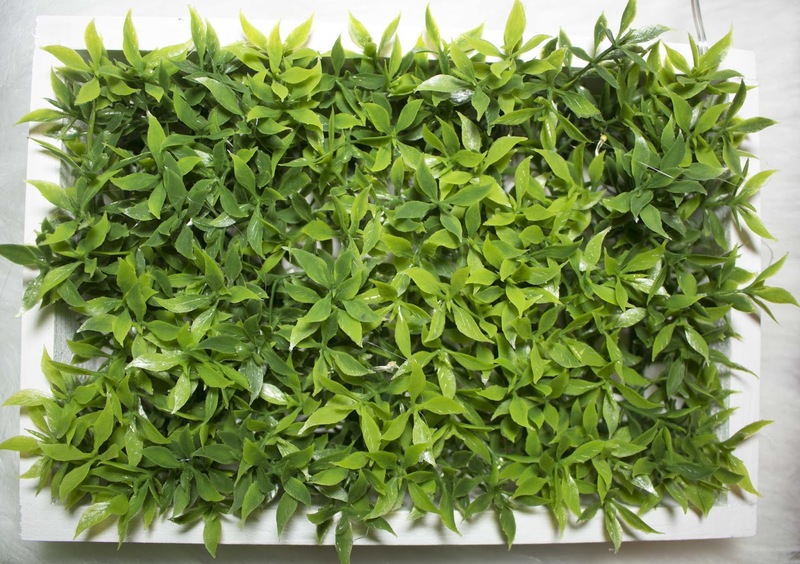 My ultimate dream is to have a complete jungle in my room. The more plants the better! Of course, sometimes real plants can be hard to take care of, let's be honest. 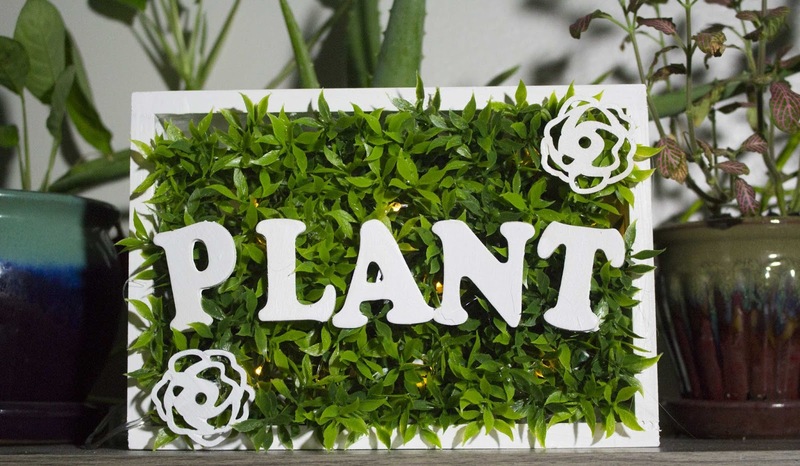 That's why fake plants are such an awesome alternative! 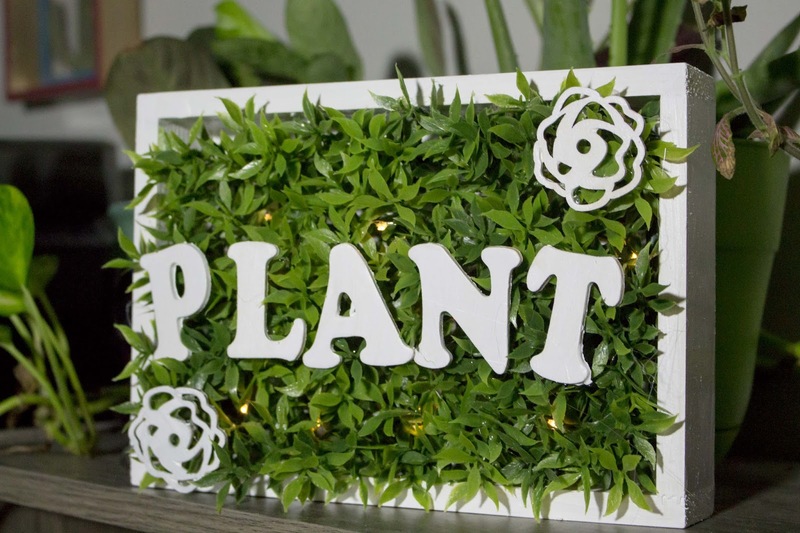 This DIY Grass shadow box really helps to bring nature indoors! After making this one I honestly want to make several more! 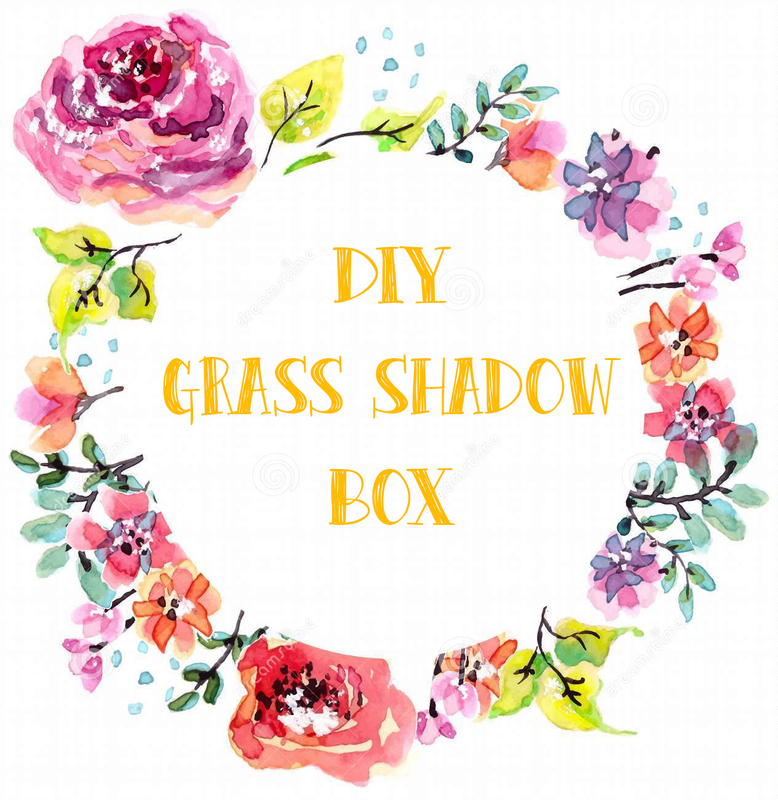 The grass shadow box is the perfect little room decor for apartments that don't have access to actual grass. Plus it's easy to make so that is always a plus! 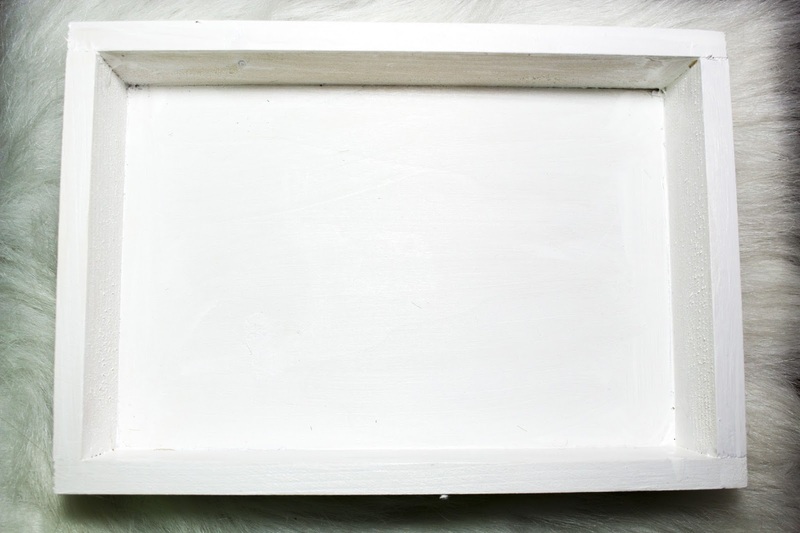 First, ideally, if you have sandpaper, I suggest sanding down the box so it has a nice smooth surface for the paint. 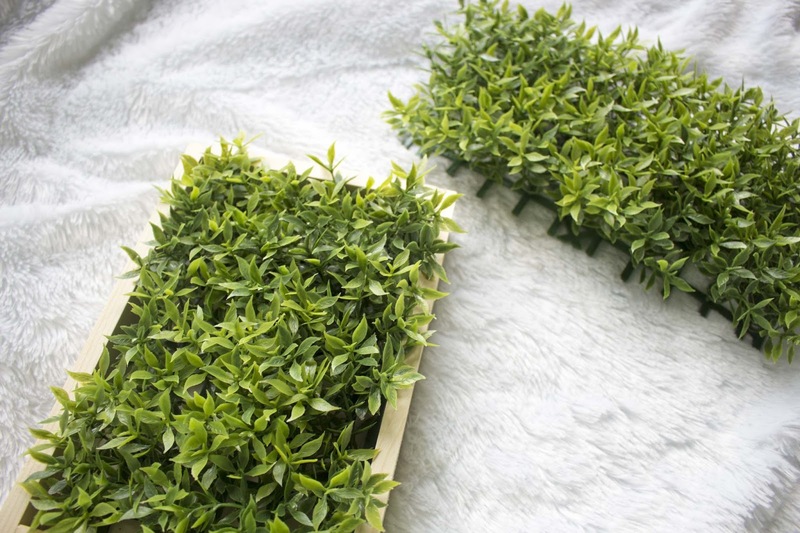 Take your fake grass and measure and cut out the size you need to fit into the box. I had a lot left over. 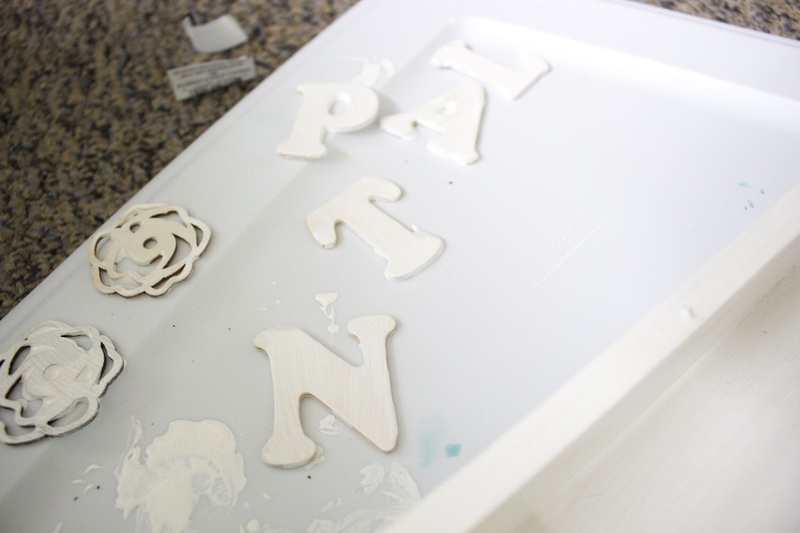 Next, using roughly 3 coats, paint the box, letters, and wooden flowers white. 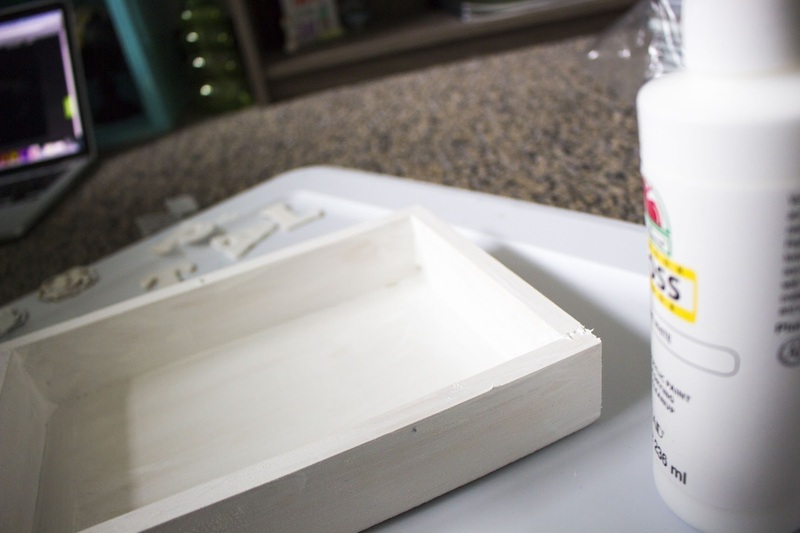 Allow each coat to dry before painting the next coat. 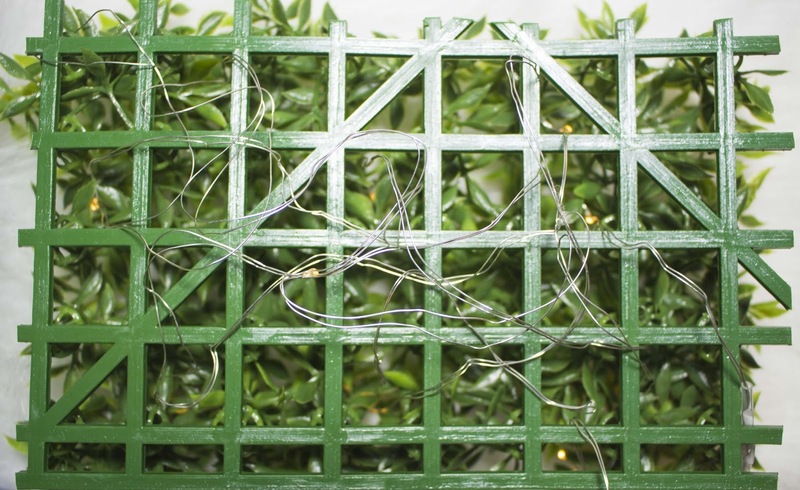 While the paint drys, Take your lights and weave them through the grass so that they poke through. Once you have this done, carefully glue the grass to the inside of the box. Then, glue the letters and flowers on top of the grass. If you need to add your batteries to your lights and then you're good to go! Pretty cute right? And with the lights, it can double as a nightlight! 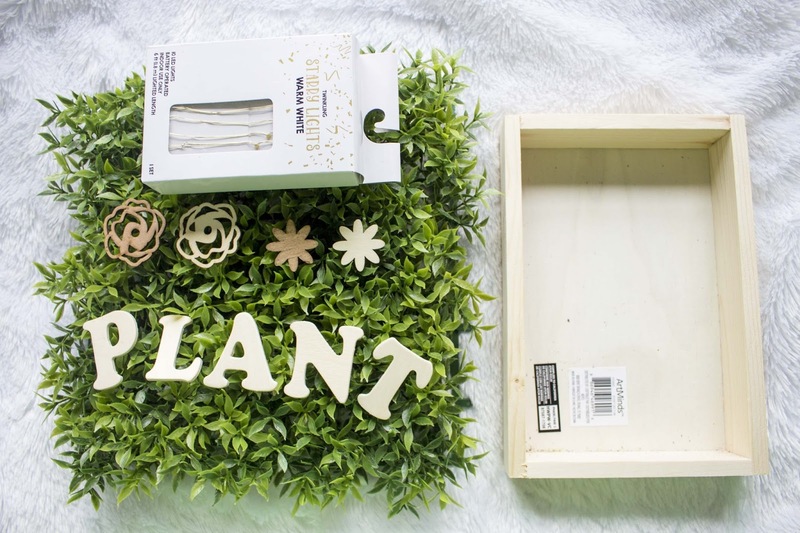 That's what I call a win-win on this DIY grass shadow box.